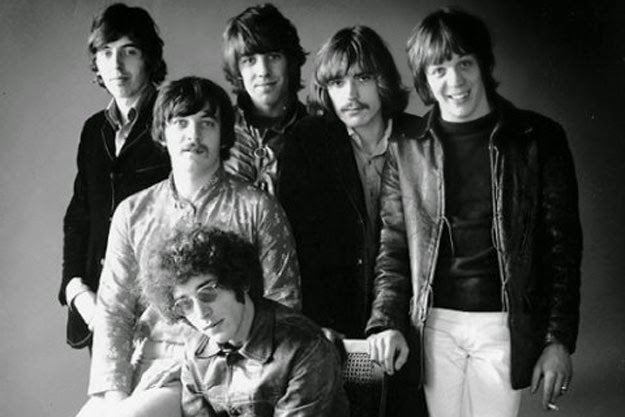 The 1967 hit A whiter shade of pale by Procol Harum (image credit) is one of those songs everyone knows. Also one of those songs where the most outrageous wrong claims circulate on the internet. I wish I would get a euro for every time I have seen someone claim that this is a cover of Bach's Air. It is not, as a simple side-by-side comparison will show to anyone who has ears. The melody and the harmonies are akin to Bach though, and actually his Sleepers awake would be a stronger case to claim as an inspiration source. A world wide number one, and deservedly so.